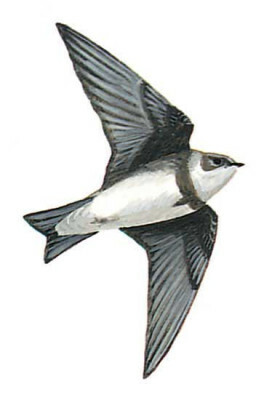 Small, dull brown and white martin distinguished by white underparts sharply broken by brown breast band and slightly long and deeply forked tail. Juvenile has scaly buff upperparts. It has a fluttering flight action.